“Is there a future for old-fashioned museums?” is the rather outlandish title of an otherwise good Washington Post article about the future of museums in the age of networked computers and virtual worlds. 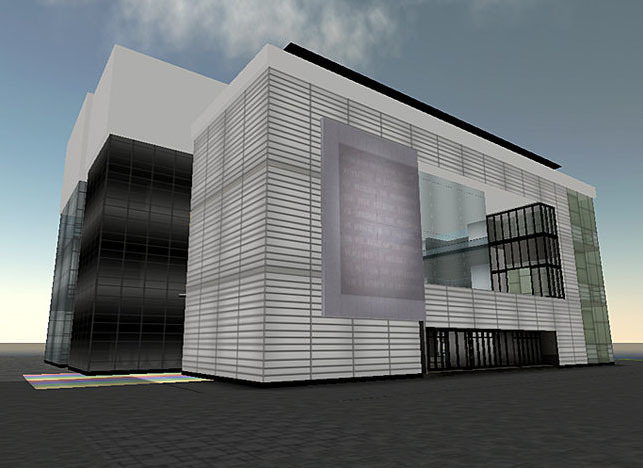 “As the Newseum puts the finishing touches on its new building in downtown Washington, a second version of the museum of news is being developed for the online society Second Life. This novel way to experience a museum […] raises questions about the very future of museums. Indeed, it can make one ponder whether all those granite and limestone mausoleums that litter Washington have a future at all. In the age of the networked computer, museums are being fundamentally challenged in the same ways that other bastions of education and entertainment — from libraries to the music industry — are being rocked to their cores. It seems to me that new media usually don’t replace old ones but just provide an alternative experience. Just like television didn’t kill the radio, and movies didn’t kill the theatre, virtual worlds will not remove the need for real museums. They will just provide an alternative window into their collections and the story they are telling. And in the end, that’s what the author thinks too. I recommend you to read the conclusions of the article.